Defending V8 series champion, Red Bull Racing Australia driver Jamie Whincup, has broken through for his first win of the season in the second race in Auckland. Whincup survived a nudge from Ford rival Mark Winterbottom on the last lap of the 100km race at Pukekohe Park Raceway to take victory and maintain his lead in the series standings. In fourth was Jason Bright, followed by fellow Holden drivers David Reynolds and Shane van Gisbergen while Nissan's Rick Kelly crossed the line in seventh. 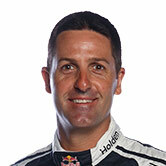 Whincup's triumph was the 22nd win by a Holden driver in 23 races at Pukekohe. Earlier, teenage New Zealander Scott McLaughlin became the youngest V8 Supercars winner when he scored a popular victory in the opening race. The Holden Commodore VF driver took the lead on the 12th lap of 35 and held on to triumph in front of home fans. The Christchurch-born 19-year-old took the chequered flag in his first season as a full-time V8 Supercars driver after winning the development series title last year. 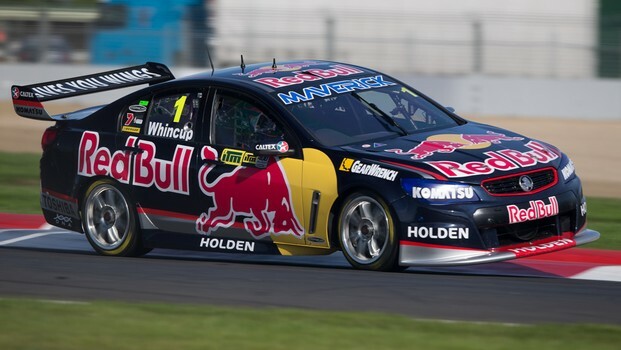 Jason Bright was second and Craig Lowndes third to complete a podium clean sweep for Holden. Kiwi duo Shane van Gisbergen and Fabian Coulthard were next over the line in a strong showing by the New Zealand contingent, who make up just four of the 27 drivers in the field.